Currently operating out of the city of Oxford, United Kingdom, Maeguemechs is a private enterprise specialising in alternative energy sytems R & D . With over 20 years sector involvement, MAEGUEMECHS pursues a foward looking innovations design approach to meeting the demands of providing energy-related solutions globally amidst increasing limitation on resource supply, stringent environmental requirements and ever-increasing socio-economic uncertainities. Our current projects include hybrid vehicle designs and concepts, using conventional as well as our own innovative solutions, research and development in geothermal, solar, biofuels, hydrogen and other alternative fuel systems for both mobile and stationary applications. 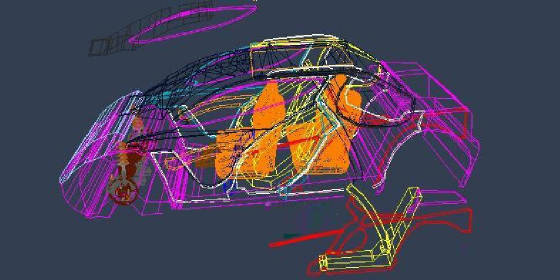 Variable Element Reconfigurable Unitary Structure vehicle construction is our design concept aiming to create a uniquely adaptable so-called 'multiform' car using spatially variable elements in part of the car structure. See main page here .